The Kings & Queens Cleopatra is a brand new cat tree for 2017 and is available from June 28th! This amazing cat tree has spent years in development to create and is named after ‘Cleopatra’ who was a legend and a famed woman of surpassing beauty. This stunning cat tree follows her example as it truly is a thing of beauty that has never been seen before.. The entire cat tree has been finished in beautifully soft plush material and there are several areas for them to play which includes, hammocks, caves and bunks.. Everything a fussy feline could ever wish for! The stunning taupe colour is truly exceptional and is another feature that makes this cat tree stand out from the crowd and will make a welcome addition wherever it is placed within your stylish home. Both the gorgeously plush caves have been provided with a soft additional cushion which can be washed at 30 degrees. 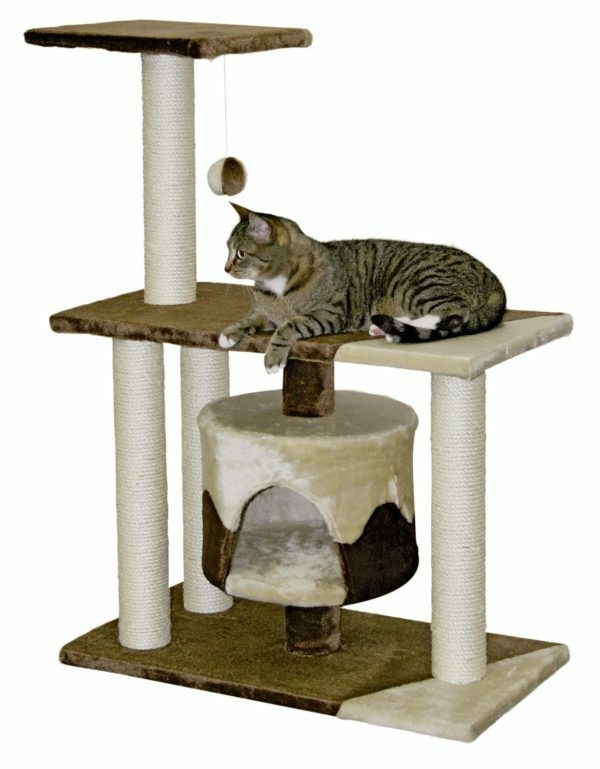 Cat trees don’t get any cuddlier and tender than the Kings & Queens Cleopatra cat tree.